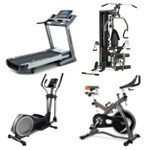 At Fitness Market, we are proud of the fitness equipment we provide to our customers. We are also proud to tell you that we have the finest fitness equipment backed by the best guarantees and warranties. Our confidence can be your confidence too! Our goods come with warranties that cannot be excluded under the Australian Consumer Law. You are entitled to have the goods repaired or replaced if the goods fail to be of acceptable quality and failure amounts to a Minor Failure. You are also entitled to a replacement or refund for a Major Failure if the goods fail to be of acceptable quality overall. Consumer Guarantees have no set time limit - depending on the price and quality of goods, consumers may be entitled to a remedy after any manufacturers' or extended warranty has expired. In that circumstance, Fitness Market recommends you contact the manufacturer's service department (for a list of most manufacturer's customer service contact details, see below). Even though the manufacturer's warranty may have expired the manufacturer is not only best suited but is obligated to assess the nature, cause and extent of a failure or fault if you have reason to believe there has been a breach of Consumer Guarantees. If at any time you are not satisfied with the manufacturer's remedy in relation to your statutory rights then contact Fitness Market for assistance. Warranty commences on the date of sale from Fitness Market. Proof of purchase is required for warranty activation. Minor Failure (Fault) is deemed where the machine is serviceable; the faulty part is simply replaceable within a reasonable time; and the fault is non-structural. Major Failure is deemed where a faulty part is not replaceable and is structural; or the machine is non-serviceable. Domestic, Onsite in-home warranty: For products purchased within a 70km radius of Capital cities an onsite in-home service is provided. Domestic, Return to base Warranty: Return to base warranty only applies to products outside of the 70km zone unless otherwise specified in cases where a local service technician may be available. Return freight is at the consumers cost. All equipment is warranted for domestic use only unless otherwise stated. For all claims outside of a 70km radius from Capital cities a labour charge may be incurred. Charges outside of warranty period is $72 (inc GST) per call out; and $144 (inc GST) for service and maintenance (labour). Parts outside of warranty period or conditions will be charged accordingly. Where a service request is attended, and the fault is not deemed a manufacturer issue, then all charges for such service will be passed onto the customer. The following is a summary of warranty terms per brand. For full warranty terms and conditions, please refer to the respective manufacturer website. Further details are available on Aquila warranties can be viewed on the Aquila Fitness website. Accessories: 3 months (for reasonable use, excluding 'wear and tear'). Warranty supported by Body Solid Australia (GymQuip Fitness, Canberra). Manufacturer: Johnson Health Tech Australia. Drive Motor - 5 Years Unconditional. Program Control Board, Motor Control Board, Incline Motor - 3 Years. Other Parts - 3 Years (including Paint/Coatings, Cables & Leads). Labour - 2 Years (Onsite metro area / Return to place of purchase for other areas). Warranty excludes wear and tear or damage due to misuse or neglect. The warranty period is subject to the JHTA Warranty statement and guidelines within the JHTA dealer guide. Icon Warranty Terms and Conditions details. Fitness Market is an authorised Polar retailer. However, we are not authorised to repair Polar products. The York Fitness Equipment warranty varies from product to product. If you require a warranty claim, please complete the Warranty Claim form by clicking on the following button.